Designing Desert Tours from Fez for the Trip of a Lifetime! Morocco is such a wonderful and mysterious place for most people. People often associate it with the classic Hollywood movie called Casablanca, since this is the country’s largest city. But did you know that there are other great cities in Morocco that are accessible to tourists worldwide? Looking beyond Casablanca, you can also visit other majestic cities, especially Fez. You can decode this Moroccan mystery further by going on a wide variety of trips here. After experiencing one of many Morocco desert tours, we’re sure you would want to maximize your stay here. That’s why we’re introducing to you our customizable tours, specifically our desert tours from Fez. Discovering a not-so-commonly highlighted tourism place for first time travelers may be daunting, but trust that you will be in good hands if you hire a company that has 10 years of experience like ours in offering Morocco desert tours. We know tourists are wary of hidden prices, but our wide selections of friendly tours are designed with the utmost guarantee of transparency and reliability. Our professional team consists of intrinsically knowledgeable guides who speak a variety of languages (English, Arabic, French, Spanish) and very able drivers that can maneuver around many places with ease and comfort. You can also choose from our varied list of vehicles available for your chosen tour, and we have several comfortable cars and luxury modern vehicles to choose from. We can also arrange for your lodging as well, since we have various hotels of different stature for you, depending on what you’re comfortable with – luxury hotels, bed and breakfast, or the friendly backpacker budget hotel kind. Due to the wide variety of desert tours, accommodations and transportation options we have, we can offer the most competitive pricing for the chosen travel package you want. We understand that travel costs money, and we want you to spend your hard-earned money the smart way. That’s why we are flexible that way when it comes to designing our desert tours from Fez – because your needs come first. From the basic Option 1 offerings, add extra time to pass by not only through Azrou Cedar Forest, Middle Atlas Mountains, and Ziz Valley to experience the camel ride and the night in the desert, but this trip adds on other places of interest: More time spent in the Berber Villages of Zaira or Medilt, pass through Erg Chebbi desert in Merzouga, do sand boarding at the dunes, a journey to Tafialt, Dades Valley, the beautiful Gorges, and heading out to Dades Valley, then visiting the famed “Hollywood of Africa” in Ouarzazate, also to see and stop at the Ait Ben Haddou Kasbahs, before finally arriving in Marrakech. 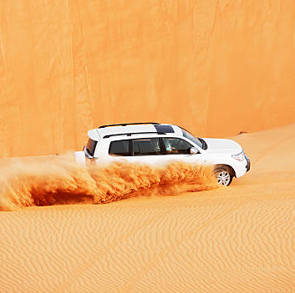 Top off your Option 2 itinerary and extend it to 4 days-3 nights stay to experience the best desert tours from Fez. Day 1 listing includes starting the tour from Fez and going to Ifrane, Azrou, Ziz valley, Erfound, and Merzouga were you will end up staying in a great camp in the middle of the dunes. Day 2 adds the extra experience of spending time in Khamlia Village and the experience of spending the night inside a Berber nomad tent at the desert. Day 3 covers the trip to the Rissani fortified village and to see the Torda Gorges and the Tinerhir Oasis, stopping at the Valley of a Thousand Kasbahs in Dades Valley. Day 4 is headed towards Ouarzazate via way of Skoura, stopping at the Ait Benhaddou Kasbah until the drive to Marrakech. If multiple location itineraries are not for you, then this one great trip is! To simplify a visitors’ experience, we offer this one-day trip from Fez to Chefchaouen. This popular Moroccan tourist attraction brings you near the Rif Mountains, which is located south of the Mediterranean coastline. This former Spanish Morocco territory is famous for their buildings that are washed with blue paint, earning it the nickname of “Blue City.” Shop ‘til you drop at the many markets here selling local handicrafts and exquisite souvenirs found exclusively in this city. Foodies can go on a gastronomic culinary trip to sample their offerings, particularly their famed goat cheese products. Photography enthusiasts will enjoy the scenic views here, and religious devotees can also experience Catholic feasts celebrated here from time to time. As you can see, Morocco desert tours need not be daunting nor anxious-filled. Remember that the various desert tours from Fez that we offer are very customizable, as we listen to the travelers’ specific needs and requirements. So come and visit, and get in touch for a quotation! We promise it will be an experience of a lifetime!